I have a small fenced yard with a patio that my dogs have free access to. I would like to create a butterfly garden and add other plants that are non toxic to my dachshunds. Any suggestions. I am from near Detroit, Mi. Thanks. Mr Smarty Plants is going to split this question into two parts, information on selecting plants for a butterfly garden, then how to investigate if those plants are poisonous to dogs. 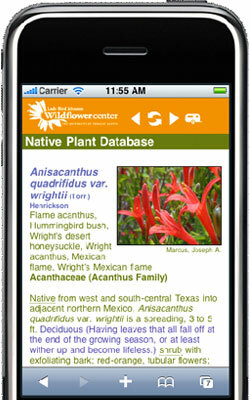 The wildflower center has lots of information on Butterfly gardens. There is a How-to Article, and a Step by Step Guide describing How to Raise a Butterfly. To find good plants for your butterfly garden, the Center has lists of Native Plants that are recommended for all the states, and also several specific ecoregions. This link is to the list for MI, with it already reduced to just the Herbs [of which many are Wildflowers]. Unfortunately, the process then is to compare the plants you want to use to the ones on the lists. If you find one, then you can be reasonably sure that the plant is poisonous as described, but not finding a plant does not guarantee that it is not poisonous. [Too many negatives, but I hope you understand!] The ASPCA list has the benefit of being specific to dogs. I used the Canadian list and the one from the University of Illinois which are more generic poisionous rather than specific to dogs because they are more easily searched. There I found mention [Canadian list] of the Asarium Canadense, but everything else, including the specific species of milkweed, did not show. To my mind - better safe than sorry - and I would exclude these plants [Asarium Canadense and Asclepias Sp.] unless they can be isolated from your dogs. Happy searching, you have lots of good choices available! April 16, 2013 - What causes bluebonnets to mutate..grow as if three or four are combined into one flower on one very flat, wide stem. I have these in my yard; they are beautiful! I have taken several pictures. February 23, 2014 - Is it possible to start some Phlox drummondii or other native wild flower from seed indoors, and then transplant to my garden? If so, can you suggest some? August 19, 2013 - Would it possible for my daughter's florist to get bluebonnets for her late July wedding? Are they propagated in greenhouses? December 15, 2008 - In Pittsburgh PA what spring wildflower is consistently among the first to bloom?